Opening hours: In the main towns, normal opening hours last from 9:30am until 7:30pm on weekdays and Saturdays, whereas most of the shops are closed on Sundays and public holidays. 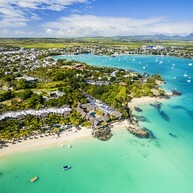 Sights and adventures of Mauritius are as numerous and diverse as its natural treasures, and they are all spread around the whole island, from the very North with its beautiful beaches to the very South, known for terrific landscapes with cliffs and mountains – and while the East is adorned with emerald-coloured lagoons and authentic villages, the West undoubtedly captivates with its stunning nature parks and its great winds for water sport of all kinds. 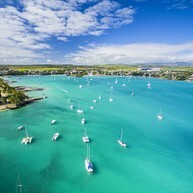 The area around Grand Bay (=Grand Baie) was the first one to develop mass tourism, and up to this very day, it still remains the centre of tourist attraction. The small town in the North is bustling with locals and tourists alike, as it boasts many leisure activities and charming boutiques, as well as a vibrant nightlife and – of course – the famous beach La Cuvette. The Grand Bassin, Ganga Talao, is a crater lake in a secluded mountain area in the heart of Mauritius. 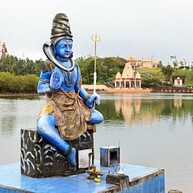 Visited by many pilgrims during the festival Maha Shivaratri, it is of religious importance for the Hindu faith in God Shiva, and since 2007, Shiva itself towers over the impressive lake, pictured as a giant statue as another goddess, Durga, does since 2017. 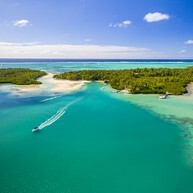 This small and privately owned island in the east of Mauritius is a little slice of heaven, and it is easily accessible by boat. Even though its name translates as "deer island", it is no longer inhabited by the animals, but rather contains incredible beaches, restaurants, a plethora of leisure activities and also a world-famous golf course. Located along Flic en Flac to the south of Port Louis, this beach stretches for almost 8 kilometres, and boasts a coral reef that forms a beautiful lagoon with crystalline water. 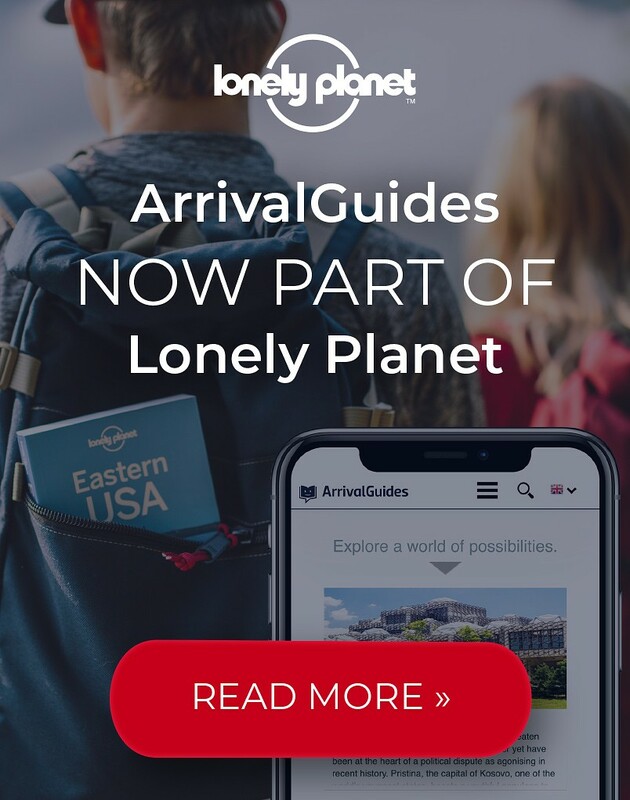 The whole village is quite developed, with 5-star hotels, restaurants and all the facilities and services you can expect from a major tourist destination. Housed inside an old sugar factory, this small museum offers a glimpse of the island's history, and its sugar cultivation in particular. While learning more about how plantations shaped Mauritian industry and society in the colonial era, you will also discover how people lived and worked back in the day. Île aux Aigrettes is an island in the Southeast of Mauritius, and although it is quite small, it is home to a multitude of rare and diverse plants and animal species. Being a nature reserve since 1965, this islet attracts tourists and locals alike, both of whom come to see the famous pink pigeons, giant tortoises and the last surviving piece of Mauritian dry coastal forest. Inside the Maritim Resort & Spa Hotel, you will find fascinating ruins that, back in the early 18th century, were built as a fortress by the first French governor of Mauritius, Mahe de Labourdonnais, in order to protect the island from possible incursions. The fortress, which also housed an arsenal, exploded in 1774 and since then remains as a remnant of Mauritian history. Visitors are advised to contact the Maritim Resort & Spa before visiting in order to check availability. 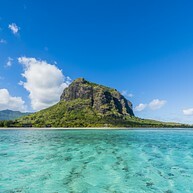 The basaltic mountain at the peninsula Le Morne Brabant in the southwest of Mauritius is a UNESCO World Heritage Site, and it is not only of great importance as for its natural attractions but also due to its cultural legacy. 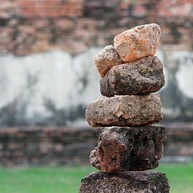 This site is associated with the struggle against slavery and oppression, and is an emblem of the struggle. 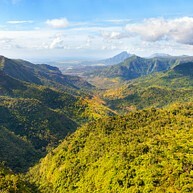 In the Southwest of Mauritius lies the island's biggest natural reserves, the Black River Gorges National Park. Covering an area of 6,754 hectares, it dates back to 1994, when it was established to safeguard what remained of the native Mauritian forests, and to protect the island's endangered species, like the Mauritian flying fox and the Mauritian parakeet.